Welcome to Active Minds Enrichment Gear (AMEG). AMEG products were chosen with you, the animal trainer, in mind. 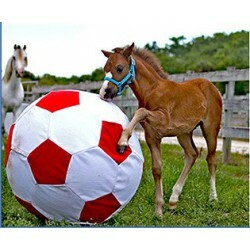 We know how hard it is to provide your animals with unique and durable items. In addition, many facilities require enrichment items that are given on exhibit to have a naturalistic look to blend in with the animal's environment. With these criteria in mind, we have developed the AMEG line to offer you a variety of items. Some items are extra large, some are extra durable and many are offered with naturalistic colors. We hope the AMEG products will make your search for new enrichment items easier. If your enrichment program utilizes a unique product that was hard to fine, let us know! 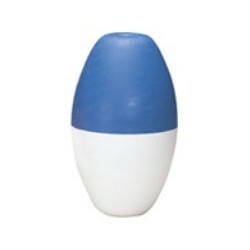 Your efforts would be welcomed by others who are searching for that perfect enrichment item. All Animals Need Active Minds! Enrichment Products There are 4 products. Classic dive and retrieval game. Sand filled, weighted rings stand upright on pool floor. 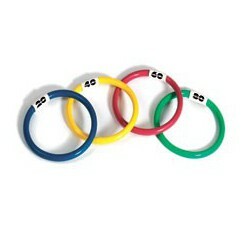 Colorful 6 inch rings have high visibility. 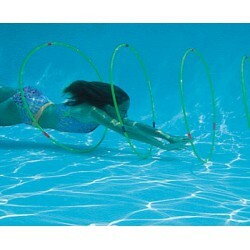 Great training aid or enrichment device for your marine species or other water-loving animals!